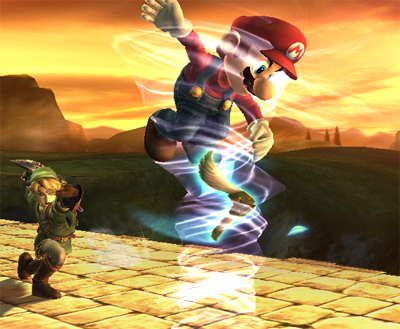 Today the DOJO was updated with Link‘s special moves in Super Smash Bros. Brawl. 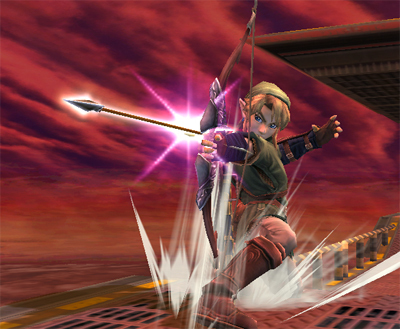 His special moves include: Gale Boomerang, Hero’s Bow, Bomb, Spin Attack, and Clawshot. 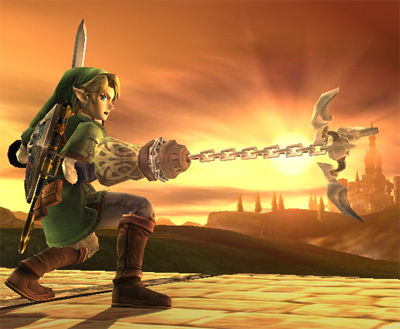 The Clawshot can also be used for his Tether Recovery. Here’s another Pacman clip from Family Guy. You’ve longed for it, you’ve begged for it and now it’s finally here. Nintendo’s Month of Metroid continues with today’s release of the ultra-classic Super Metroid® for the Super NES®. It’s one of the many teasers to whet your appetite in advance of the Aug. 27 release of Metroid® Prime 3: Corruption for Wii™. You have a full week to dive into Super Metroid and explore the other great new games added to the Wii Shop Channel: Shinobi III: Return of the Ninja Master™ and Neutopia. Super Metroid (Super NES, 1 player, rated E for Everyone – Mild Violence, 800 Wii Points): The Space Pirates, merciless agents of the evil Mother Brain, have stolen the last Metroid from a research station, and once again Mother Brain threatens the safety of the galaxy. Samus Aran must don her awesome array of high-tech weaponry to retrieve the deadly Metroid hidden deep within the cave-riddled planet Zebes. 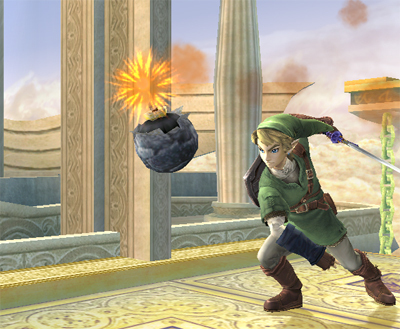 Super Metroid features excellent graphics, with a huge variety of enemies and worlds to explore. 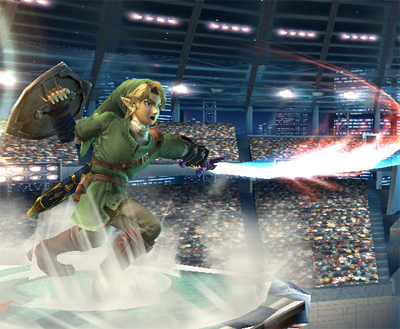 The side-view action will be familiar to many players, only now there are new weapons and items, including the Grappling Beam, which allows Samus to swing across large chasms, and the X-Ray Scope, which reveals secret passages. Shinobi III: Return of the Ninja Master (Sega Genesis, 1 player, rated E10+ for Everyone 10 and Older – Animated Blood, Fantasy Violence, 800 Wii Points): In this thrilling sequel to The Revenge of Shinobi, Joe Musashi finds that Neo Zeed – the crime syndicate he believed he had wiped out two years earlier – is indeed still alive and well. The return of Neo Zeed and its leader, the mysterious Shadow Master, forces Musashi to return from exile and confront the growing evil. As the Shinobi, the master of long-forgotten Oboro Ninjitsu martial arts, Musashi must utilize all his powers to overcome his various enemies. Thanks to his considerable combat skills and special Ninjitsu moves, only the Shinobi can thwart Neo Zeed and vanquish the Shadow Master. Neutopia (TurboGrafx16, 1 player, rated E for Everyone – Mild Fantasy Violence, 600 Wii Points): In this action role-playing game, you take control of a brave boy who sets off on a journey to rescue the kidnapped princess and reclaim the eight medallions that were stolen by the evil demon, Dirth. You’ll need to rely on your magic compass and information you’ve gathered to find entrances to labyrinths and defeat the bosses in them. Solve puzzles, avoid traps, move blocks and destroy walls to uncover secret rooms in the labyrinths. Carefully use your map to uncover hidden treasure and powerful equipment. 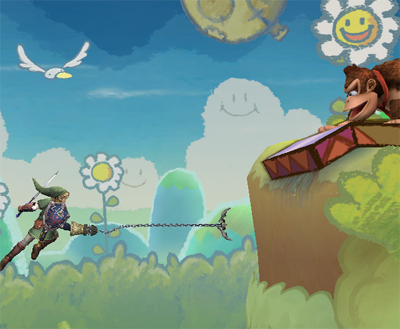 Travel the land, underground, sea and sky on your quest to recover the medallions. With a save function, the right difficulty level and a system that doesn’t include experience points, this is truly an RPG that anyone can enjoy.